The CFA or the Chartered Financial Analyst Program is designed to train and shape investment and financial professionals. So, if you’re hoping for a stellar career in a Wall Street company or you want to increase your chances of success as a new business in the world of finances, this is the course to follow. The program is American-based but it is available for people all over the world. While preparing for the exam, you will be trained in financial analysis, investment management, bonds, stocks, and more. Still, you should know that it takes about four years to learn the CFA charter – the supreme title once you have completed all the levels. The exams are difficult and many students and professionals name them the ‘Wall Street’s toughest tests’. Even more, less than one in five candidates manage to complete all the levels and become a CFA charterholder. These data are not meant to discourage anyone from starting their CFA preparation, but it is important to understand what you get yourself into. 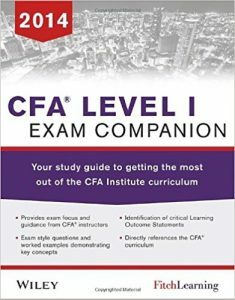 There are three CFA levels and the pass rate for all of them is around 50%. Still, people who are serious about getting their certification are more than welcome to try. Now, besides being difficult, the CFA preparation is also a bit expensive. Many of the courses and guides out there, that manage to offer a complete view of the necessary information, come at exorbitant prices. This is one of the reasons why people tend to use books that are lower in quality and level of information, leading to an unsatisfactory level of preparation for the test. 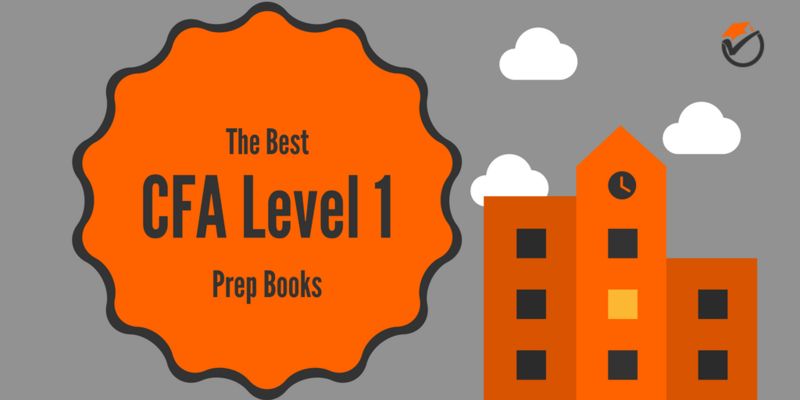 So, if you want to start preparing for the Level 1 in CFA, we put together a list with the best CFA Level 1 Prep Books that won’t break the bank. These come with all the information you need for the first level and tips or tricks that will help you accommodate with the exam atmosphere. This guide contains the official curricula required from CFA Program candidates. The entire package has 6 volumes, and a total of 4092 pages but it is also quite expensive. Still, if you can afford it, these books contain everything you need to know for the CFA exam in 2018. Even more, the Curriculum contains the official Candidate Body of Knowledge (CBOK), which is a summary of all the 10 topic areas that can be covered on the exam. There are also instructions from experts, in-depth explanations of fundamental concepts, and ethical and professional standards, economics, portfolio management, alternative investments, equities, derivatives, fixed income, and more. 3) All materials must use an accessible language and present examples to make the information easy to understand at a global level. This means that case studies or examples won’t be limited by country-specific data. The guide features an easy-to-learn, visual style with cases and examples that demonstrate the way these concepts apply in the real world. Even more, there are multiple charts, diagrams, figures, and financial statements to improve the general structure and to help you understand better. 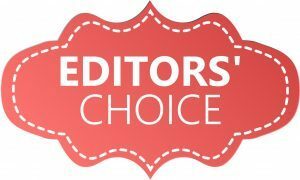 Besides preparing future candidates for the exam, this guide is also discussing what you need to know in order to uphold the highest standards of ethics. 4) Practice problems to keep you focused on the task at each end of the section. Overall, the CFA Program Curriculum 2018 Level I, is a great guide that will be extremely helpful in preparing you for the exam. The 6 volumes it contains are easy to carry around and browse and the information is accurate and easy to understand. The Wiley Study Guide is well-structured and specially designed to make learning easy. While it only has 1346 pages, the guide contains the necessary information for the exam in color coded study guides and covers every Learning Outcome Statement you need. 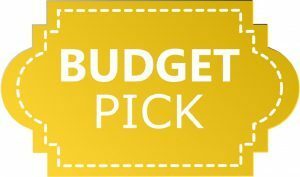 The color-coded system makes it easier for the student to follow examples and cases throughout the books and understand the connection between the presented information and graphs or sets of financial statements. The guide was created with the help of CFA chartholders and specialized instructors, which is why it is so easy to browse the books. Even more, some of the authors are experienced teachers and they used their knowledge to create a guide with test-taking tips and practical information on how to study for a difficult exam like the CFA Level I. The information is compacted and presented in an attractive form that is highly effective for candidates looking to pass the Level I. For instances, important topics such as Fixed Income, Portfolio Management or Economics are accompanied by diagrams and figures to help students grasp the most difficult concepts. Even more, in places authors considered necessary, there are side notes to explain the visual representations better. Still, you should consider the Wiley Study Guide more of a study aid than a complete review (like the guide we discussed above). There are exam tips and all the fundamental concepts are well-explained but there are some things missing too. This makes it a great study guide for someone with prior experience in the finance field. This guide is a lifesaver for those candidates who don’t have the time to go through the entire Curriculum and need a more compact version of the information. As you can understand from the title, these are notes on the information you need for CFA Level I preparation which means that they don’t cover all the aspects. The package contains 5 volumes and has a total of 1463 pages of concise study notes and examples to cover every Learning Outcome Statement. Even more, there are lots of practice questions that help you measure your current level of CFA preparedness and each topic ends with a realistic self-test. To make things easier, there is also a laminated 6-page Schweser's QuickSheet included that will help you prepare for the test on the go. Here you’ll find formulas, concepts and definitions from volumes one and two in a summarized form. Finally, the guide also contains 6 full-length practice exams that are great in testing your level of knowledge before the actual exam. The main purpose of these exams is to help in identifying your weak areas and gain the necessary confidence a student needs before taking the real exam. Of course, the confidence comes from acing these 6 exams. You can also compare scores with other candidates by using the Online Performance Tracker. This is a good motivational tool that will keep you focused while studying. While the compact shape of this guide is what made it famous among students for the CFA Level I exam, it is also the main downside. We’re saying this because the 2017 CFA Kaplan Schweser Notes Level 1 doesn’t come with all the necessary information for the test. 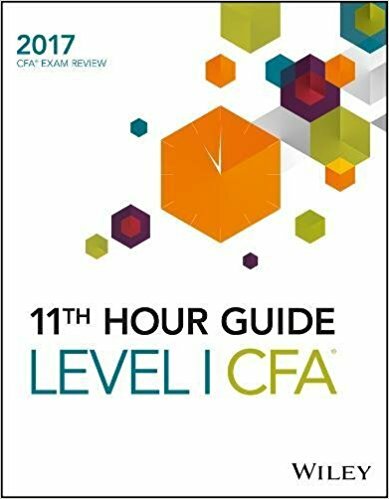 As the title says, this is the guide you need close the exam (the 11th hour) to review your knowledge and test your abilities for the CFA Level I test. Everything is compressed into one, 480-pages volume that is easy to carry around and browse. The information is well-organized, starting with reading #1 and ending with reading #60, but more importantly, it’s easily accessible to people all over the world. The information for each reading is compressed down to three or five pages, keeping things simple and to the point. The Wiley 11th Hour Guide helps students review crucial concepts, rules, and formulas that should be well-established before the test. Since its main purpose is to help candidates review everything they’ve learned, this is not a book you’ll need when you start preparing. It is however great as a complementary guide to any review course. 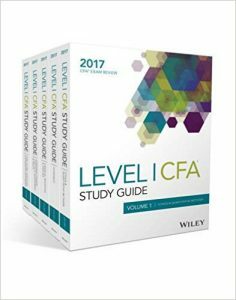 This is a supplement that provides CFA Level I candidates with the necessary areas to focus for the exam and some interesting mobile apps. The CFA Level I Exam Companion puts together an easy to browse structure that highlights the key areas a student should be focusing on. This is important if you consider the amount of information one needs to assimilate and understand before the exam. 4) Real life examples and how to apply the knowledge in order to demonstrate difficult concepts. Students who purchase this guide also have access to several interesting apps for iOS and Android and Online Study Options on the 7city online portal. These apps are designed to understand your weak and strong points and to know the areas you need to focus more. Studying for all CFA levels won’t be an easy task, but with the resources we propose, the first level will seem a lot less scary. Of course, you don’t need all these books and you can choose according to your current level of preparedness. 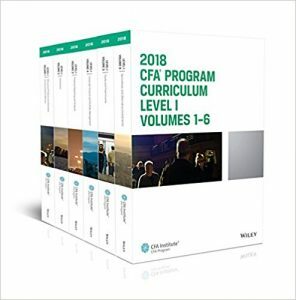 If you’re just starting, we recommend the CFA Program Curriculum 2018 Level I. 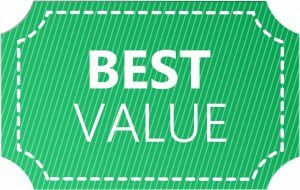 It is the most complete guide available and, even though it is a bit more expensive than other options, it will give you everything you need. 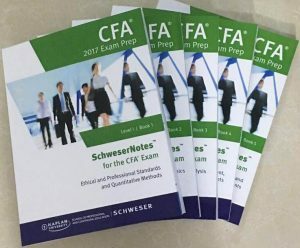 On the other hand, if you’re familiar with CFA concepts, you can choose a more compact version such as the 2017 CFA Kaplan Schweser Notes Level 1. And finally, if you’re a few days away from the CFA exam, we recommend reviewing your material using one of the two study aids we discussed.